How is it possible to come to peace with even the most adverse experiences? Does doing so mean that these events happened “for a reason”? Recently, someone asked if I believe that everything happens for a reason. Before answering, I took a moment to ponder. In the naive optimism of my younger adult years, my answer may have been “yes.” In the initial quest of my spiritual growth during my mid-20s, the answer would likely have also been “yes”…though things were different after having truly lived many facets of life. How is it possible to come to peace with even the most adverse experiences? Does this equate that these events happened “for a reason”? Is there reason when terrorists kill thousands of innocent people? Is there reason in someone who does everything “right” falling terminally ill? Is there reason in the sudden loss of a loved one? The human mind would say no, as these experiences defy logical explanation or understanding. Believing there is a reason for everything becomes very difficult when you’ve known great physical, mental or emotional suffering. My answer to the question of whether everything happens for a reason is that it feels more appropriate to say that everything can have meaning – that we can create meaning from our experiences, no matter how painful or adverse they may be. Did they have to happen? No. Did they happen for a reason? That’s arguable. Is there good that can come from everything? Yes, if we choose to create it. What does it take to reach a point of being able to find some sense of a “silver lining” or hope amid a senseless tragedy or adversity? One way to discover peace in this journey of life is to accept that things don’t have to make sense, while simultaneous accepting our role in creating meaning. The great challenge of our life is not to become deeply spiritual by removing ourselves from our experiences; the great challenge is to become deeply human by immersing ourselves in them. This is about transformation – a journey of allowing ourselves to feel the pain and lack of reason (i.e. to be deeply human), and then transforming the experience into something meaningful. We can choose to share the knowledge, wisdom and perspective gained from even our most painful experiences (personally or globally) to create empathy, growth and ease-of-life for others…and when we do, meaning ensues. Meaning stems from the creation of value for others. 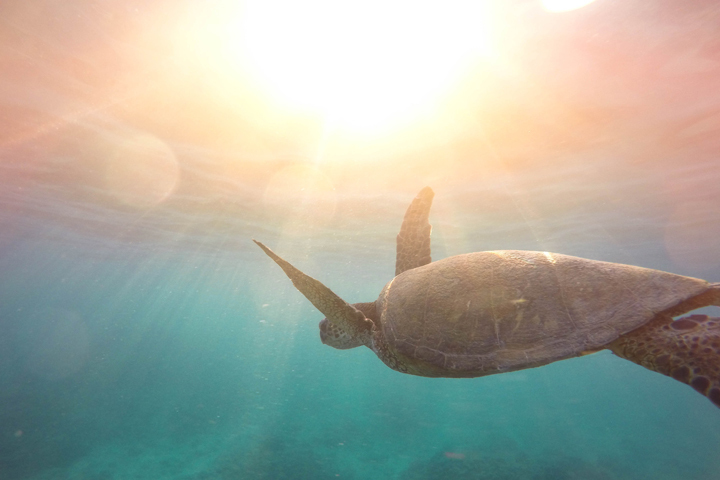 It is the choice to take our experiences – from the adventurous to the adverse – and source out the nuggets of hope, knowledge, wisdom or insight for individual and collective growth. It’s not an easy process – objectively looking back on our lives – though I promise you that it is one of the most healing processes you can undertake. When we can transcend our circumstances and dedicate ourselves to contributing what we’ve experience for the betterment of something bigger than ourselves, everything shifts. Stating that everything happens for a reason does not account for the power of choice or the full expression of human potential. It implies that life is happening to us, rather than us creating our lives. I do not believe that everything happens for a reason. I believe that everything happens because this is the journey of life – an opportunity for us to create and contribute meaning. There is possibility buried in the pain, truth in the turmoil and meaning in the mundane, should you choose to see it and extract it for the benefit and betterment of the lives of others. What Can You Do to Create Meaning from Your Experiences? Teach – The online world gives us all a platform to teach what we’ve learned, through written or spoken mediums. There is an audience waiting to benefit from the knowledge, wisdom and insight you’ve gained from your unique composite of experiences. Tell a powerful story with valuable life or business strategies – Whether you are most comfortable communicating with your family, company, community or humanity, share what you’ve experienced and learned. (Note: STORY + STRATEGY is exponentially more powerful than solely sharing an inspirational story). Build a business around supporting those who are in the thick of the experience that shook up your life. Grow with your audience and your life will be forever changed for the better – no longer are you solely creating a career, you’re making a deeply impactful contribution. Help others get through the same circumstances you are trying to navigate, and you will find your way through them. As a bonus, this type of service forges an irreplaceable bond between you and your audience. What you create together from that point onward becomes limitless. What Mindset is Required to Heal and Grow from Any Experience? Naive optimism is not practical in our current world; it will not help you navigate the real emotional and mental rollercoaster that is life. Learning, growing and evolving are choices, not things our experiences force us into. If you feel as though the circumstances that surround you are bigger than you, it is your choice to rise to the occasion. Gather supporters around you that help sooth your heart and soul, spurring you, in time, to go forth and share what you can from your experiences. 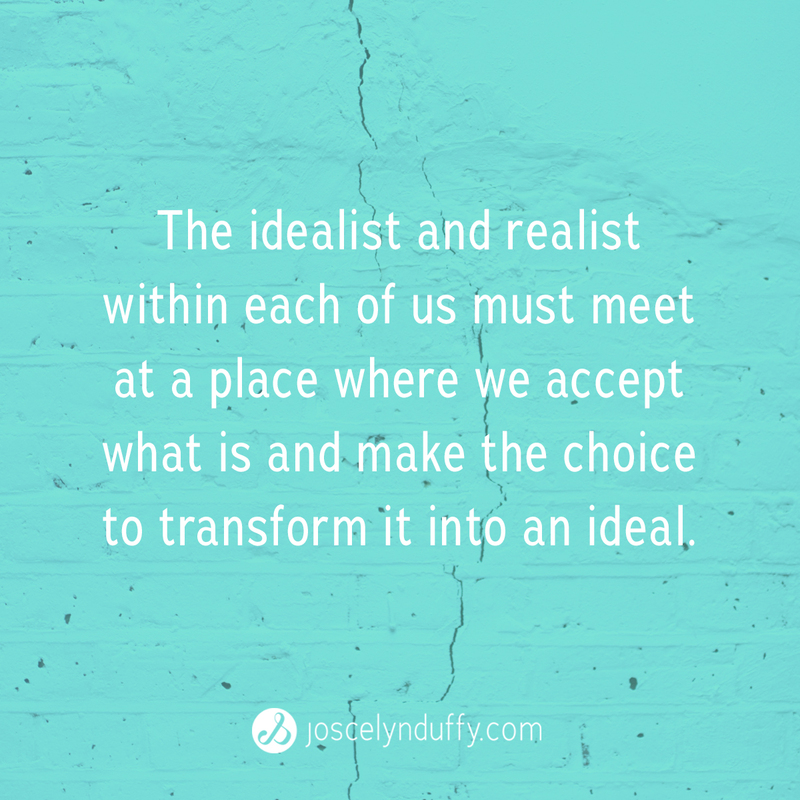 In order for us to thrive, our internal idealist and realist must meet at a place where we accept what is (in all of its senselessness, meaninglessness or lack of logical reason) and make the choice to transform it into an ideal. Humanity is waiting to progress into a greater ideal – a “Point B” that supports not only who we are (realism), though also who we have the potential to become (idealism). The realization of our individual and collective potential must be a center-point to all that we do and all that we communicate. Believe in yourself and others even when it is hard, because good can be created within any circumstance. This is why I help leaders and personal development teachers craft the powerful messages that allow them to transcend their circumstances and create meaning in their lives. These influencers have all gone on to teach what they’ve learned in a way that empowers their audiences to move into their full potential. It is my hope that you go forth and teach what you’ve learned, because the world is waiting for the meaning you have to contribute…and doing so will make every difference in your personal well-being. If you like this, please share the love.